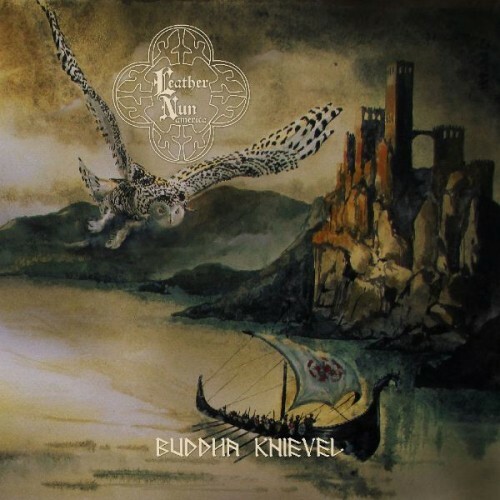 LEATHER NUN america releases new album called “Buddha Knievel”. This record is packed full with eleven magic, but old heavy tracks! Taking a doom fueled journey through sounds rich with MD/DC standards, then branching into cold harder Northern sound. 45 minutes of traditional doom metal in the vein of Wino’s bands like The Obsessed, The Hidden Hand and Spirit Caravan. Fans of Maryland doom metal sound and style will be satisfied! Leather Nun america from San Diego/California is active since 2003. They released three albums before for PsycheDOOMelic Records (“All Your Kin” 2006, “Absence of Light” 2008, “Kult Occult” 2011), all of which at high levels. Listen to the “Buddha Knievel”, and you will see that they have reached a higher level.